Staying with friends over in Suffolk for the weekend gave me a perfect opportunity to take a flying visit to Fingringhoe Wick Nature Reserve, a reserve I've never quite managed to visit before and a place that had similar beginnings to that of Brandon Marsh. 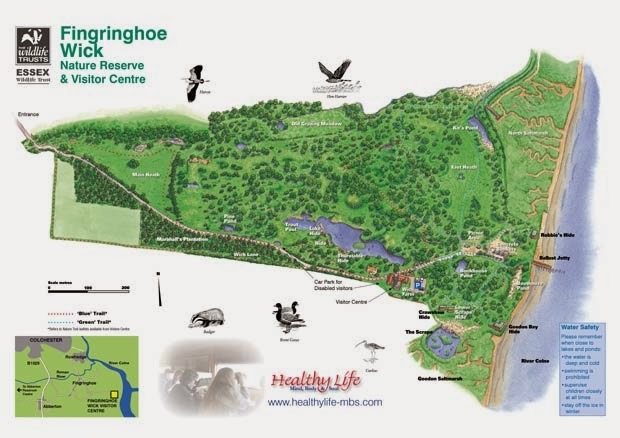 In 1961 Fingringhoe Wick became Essex Wildlife's Trust's first reserve; when Wick Farm, which had been turned into a lunar landscape by more than 30 years of gravel extraction, was put up for sale. This 125 acre reserve is situated just outside Colchester on the banks of the River Colne with a magnificent saltmarsh. 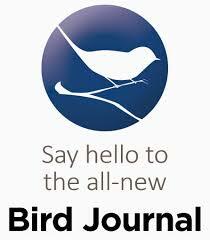 It boasts a diverse range of habitat which include woodland, scrub, heathland, ponds and lake. 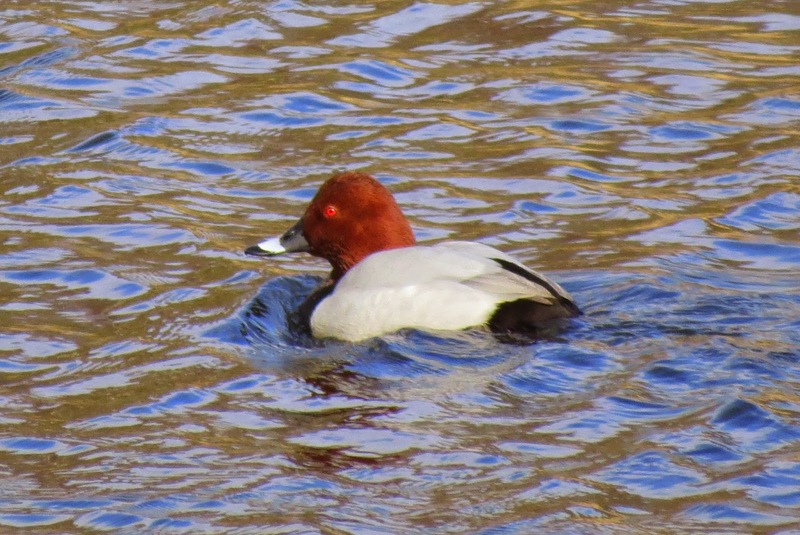 Pochard - Not many to be found this winter locally! 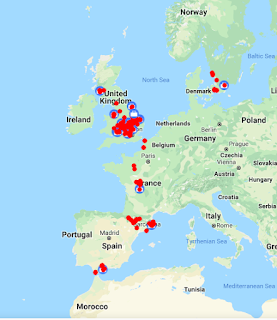 We arrived around midday Saturday, our first birds a group of Red-legged Partridge along the road as you drive in, and enjoyed some pleasant sunshine with not a drop of rain during our short stay. From the visitor centre we walked to the nearby Thurstable Hide, here we spent our time scouring the surrounding reeds for a Bittern, which apparently had been showing well earlier in the morning, sadly not during our stay and a shame for our friends Pat and John, who'd never seen one before! The usual wintering wildfowl were on show which included the above drake Pochard, a bird which has proved to be a little scarce this year locally! 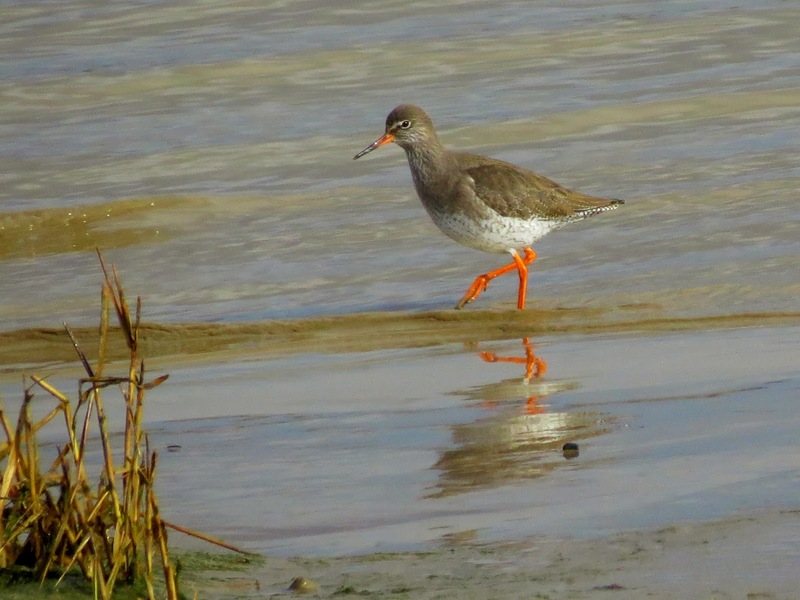 Large numbers of Redshank feeding along the shoreline. Unfortunately a couple of the seven hides available had been dismantled and were in the process of being replaced, so we headed down to the river for a look across the estuary. An excellent selection of waders were on show along the banks which including a large flock of Avocet, with around 200 or so birds, large flocks of Brent Geese, Wigeon and out to the centre, Goosander, Red-breasted Merganser, Great Crested Grebe, single Red-necked Grebe and several Little Grebe, looking almost lost in the wash.
A short visit to the 'Geedon Bay Hide' which offers excellent views across the River Colne and with the tide ebbing huge movements of waders could be seen and these included: Golden Plover, Bar-tailed Godwit, Black-tailed Godwit, Knot, Dunlin, Oystercatcher and several Curlew feeding along the marsh. A hot chocolate in the Nature Centre, which offers excellent views across the saltmarsh produced Marsh Harrier, Little Egret and a day hunting Barn Owl, my first this year. However, the star of the visit was a stunning ♂Hen Harrier, which was seen quartering the fields near the working quarry as we drove out from the reserve. This is a place well worth an extended visit and is definitely on my list for the future!